We are a group of woodturners who live in the northern Sierra Nevada foothills concentrated around Grass Valley and Nevada City, California. We share our work, methods, new ideas, and demonstrate tools and techniques with each other and in our community. Between meetings we are available to help each other, gather wood, and search out learning and teaching opportunities. We are an active chapter of the American Association of Woodturners with approximately 75 members. Through the year, we schedule several hands-on workshops on various topics and work to help our members achieve their woodturning goals. Our general meetings focus on education, sharing our woodworking journey and fun. To keep the business stuff to a minimum at general meetings we have a monthly board of directors meeting that handles most of our business stuff and all members are invited to attend. See Club Events for meeting schedule. We welcome new members of all skill levels, and visitors who want to explore becoming a woodturner. GUESTS ARE ALWAYS WELCOME TO ALL MEETINGS! 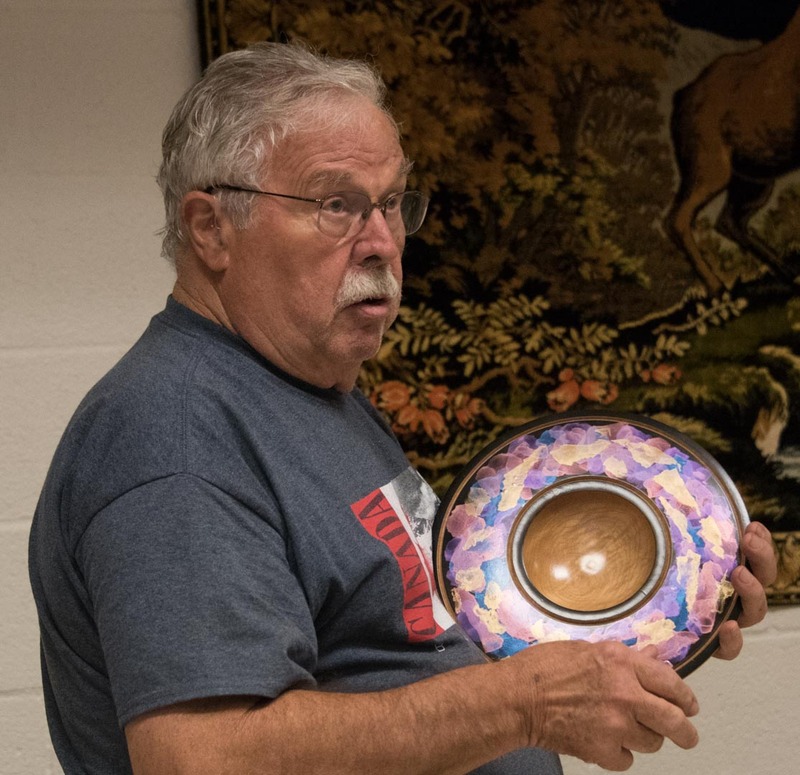 Member Cheryl Lewis is the Gold County Woodturner's liaison with the AAW. To learn more about WIT click the logo. Click here to see the video of Arnie's homemade jig demonstration. Guide to a Startup Woodturners Shop for Under $1,000. Jerry Hall initiated this guide a few years, as of Nov. 2017 it is up to date and Jerry will continue to keep it up to date. Also available is a Turners Reference Guide which describes basic tool, their use and sharping guidelines and lots of other turning tidbits. 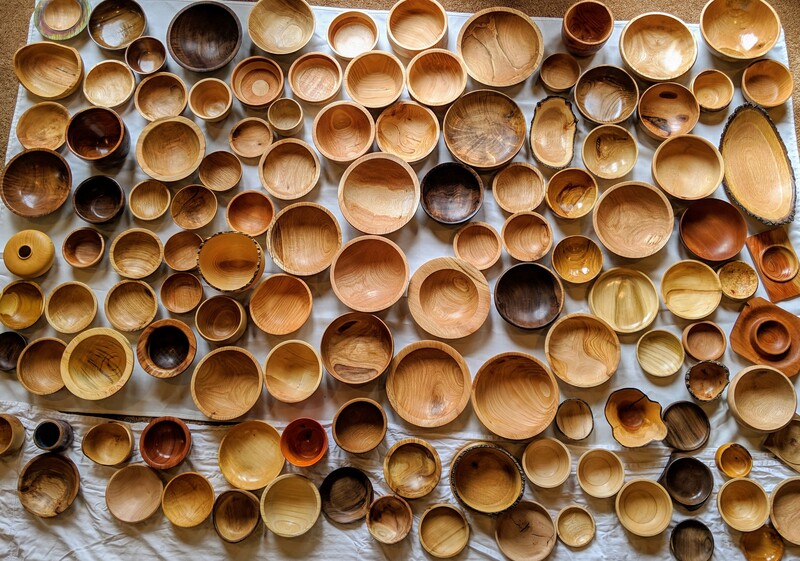 Read about the exciting experience of member Cheryl Lewis as she traveled across the country and visited with other woodturners. Encourage and support a child as they endure challenging medical treatments by making and donating a Beads of Courage Box. Thanks to all those who participated. 116 bowls this year. Consider joining The American Association of Woodturners and receive the American Woodturner and access to all past articles and hundreds of vetted videos. Shop using Amazon Smile and Gold Country Woodturners will receive a donation of 0.5% of the price of your eligible AmazonSmile purchases . AmazonSmile is the same Amazon you know.Same products, same prices, same service. Start your shopping at Amazon Smile and choose Gold Country Wood Turners as the charity you support. Thanks! Procedure for first time login and password setting.